Smith, Dennis Burnier. 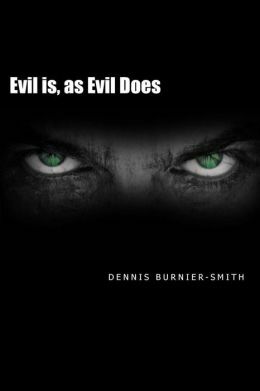 “Evil is, as Evil Does”, CreateSpace, 2015. David Steinberg, a young Jewish businessman, is abducted from the streets of Manchester’s Gay Village after a night out with his fellow workers. Three gay men, the leader of whom is a huge bodybuilding sadist, took him. One of the other two is a longhaired hippy type with teeth that look like fangs and who has a blood lust and for that his teeth come on handy. The third is a slim cross-dresser who feels that he was born into the wrong body. This is not the first time that they have done something like this and David is not their first abduction. We learn that during the past two years, three other straight men have been abducted and then disappeared. The scene of the crimes has always been the famous Manchester Gay Village. The three take David to a quiet riverside spot where he is subjected to a brutal sexual attack and when they believed that he was dead, he was left in the sewer with the rotting bodies of the prior victims. He manages to escape and find his way home where he locks himself in and begins to plan his revenge on his abductors. Each of the three will be dealt with differently but what will be common among them is the violent that he has planned. There were two policemen assigned to the case—Detective Inspector Jake Shreiver and his partner Detective Constable Bill Williams and they have been investigating since the first man disappeared. They have been determined to find the killers and bring them to justice but new killings have forced them to look at things differently. Now that I have left you hanging and hoping curious enough to read the book, let me just say that I really am not much of a mystery reader and the only mysteries I read usually are those that have been sent to me to review. However because there is a Jewish main character and I have been working on establishing the definitive Jewish LGBT reading list, I decided that this was going on my list. I was surprised at how much how I got into the story and the reason for that is the quality of both the prose and the character development. It is a good read that will keep you turning pages rapidly. This entry was posted in GLBT fiction, Jewish and Gay--- Books on January 29, 2015 by Amos.